This navy blue peak cap is worn with No. 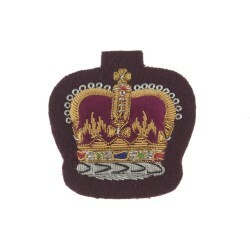 1 Dress by members of the Lieutenancy, including Vice Lord-..
State Registered Nurse Class 1 epaulette for the Queen Alexander Royal Arms Nursing Corps QARANC.Thi.. 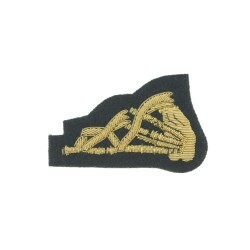 Tactics and Weapon Training Instructors badge for the qualification of Rifle Marksman. This Tac.. 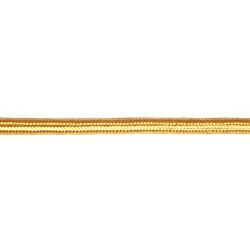 This 2% Gold Wire Braided Cord has a width of 9mm , in the design of a Diamond Plait.Many of Wy.. 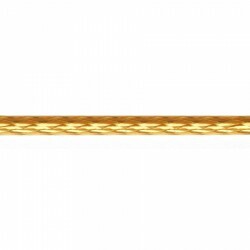 This 2% Gold Wire Braided Cord has a width of 6mm , in the design of a plain plait.Many of Wyed.. 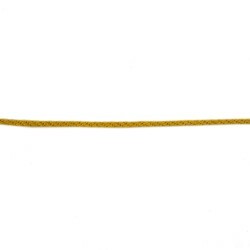 This 2% Gold Wire Braided Cord has a width of 5mm, in the design of a plain plait.Many of Wyedean's .. 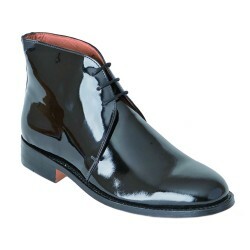 These George Boots are made from a black patent leather and are a size 11. These boots feature leath.. 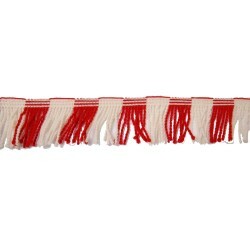 This Worsted Twisted Drummers Fringe has a width of 35mm and comes in Red and White. Many of Wy.. 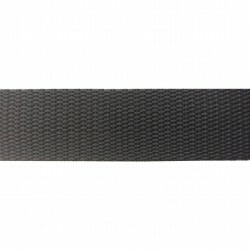 This polypropylene webbing has a width of 20mm and comes in Black in a Double Plain Weave.Many .. 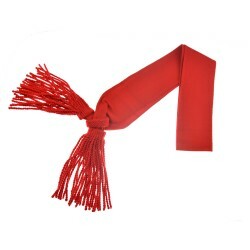 This Worsted Flat Braid has a width of 38mm and comes in Scarlet , made on a Ratera 61s flat br.. This Plain Weave Cotton Webbing has a width of 25mm and comes in Natural.Many of Wyedean's braids, t.. This polypropylene webbing has a width of 38mm and comes in Brown in a double plain weave.Many of Wy.. 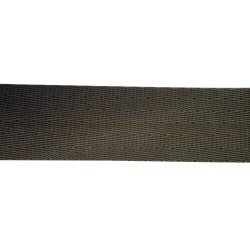 This polypropylene webbing has a width of 15mm and comes in Black in a Double Plain Weave.Many of Wy.. 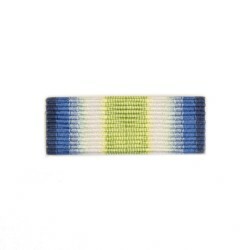 This Army Long Service and Good Conduct Nylon/Cotton Medal Ribbon has a width of 16mm. Th.. 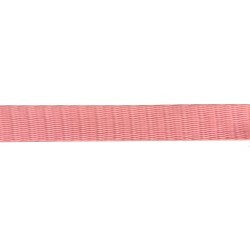 This polypropylene webbing has a width of 25mm and comes in Baby Pink in a double plain weave.Many o.. This Worsted 1010 Herringbone Lace has a width of 13mm and comes in a Blue Purple Navy.Many of .. 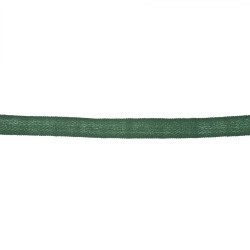 This polypropylene webbing has a width of 25mm and comes in Army Green in a Self Binding Plain Weave.. 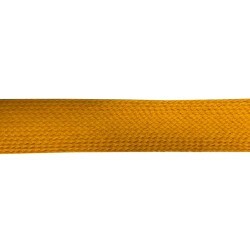 This Worsted Flat Braid has a width of 35mm and comes in Indian Yellow, made on a Barman 53s box car.. This Polyester twill webbing has a width of 20mm and comes in Blue Navy and Red stripe. Many of.. 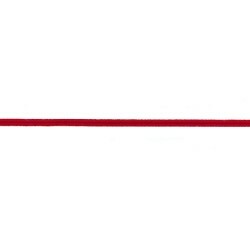 This polyethylene webbing has a width of 50mm and comes in Army Red in a self binding triple v .. 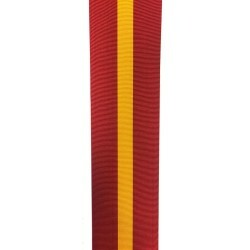 This red sword belt is worn by Officers with a dismounted tradition and Bandmasters of Infantry Regi.. 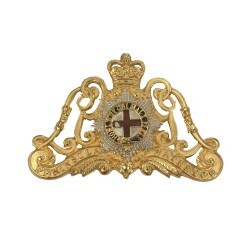 This metal badge is attached to the buckle the Life Guards in the British Army. The plate is de.. 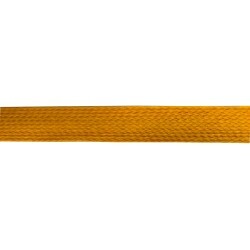 This worsted Flat Braid has a width of 25mm and comes in Indian Yellow and is manufactured to a 41's.. 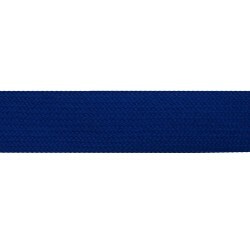 This Worsted Flat Braid has a width of 35mm and comes in Royal Blue, made on a Barman 53s box carrie.. 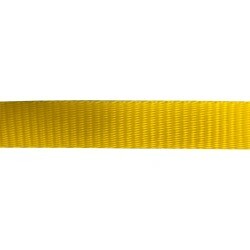 This polyethylene webbing has a width of 25mm and comes in Yellow in a self binding plain weave.Many.. 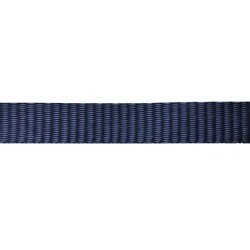 This polyethylene webbing has a width of 25mm and comes in blue navy in a self binding plain weave.M.. 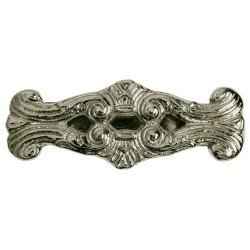 This chrome plated belt keeper is worn on a ceremonial belt by Pipe Majors and Pipers in the British.. 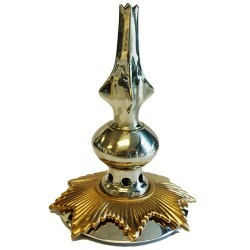 This gilding metal helmet spike is worn by Other Ranks in the Household Cavalry (HCav) in the Britis.. This Order of King Sobhuza II Nylon/Cotton Medal Ribbon has a width of 32mm .Many of Wyedean's .. 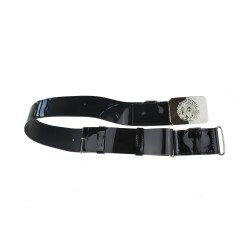 This white buff leather waist belt is worn by Officers of the Lifeguards in the British Army. &.. 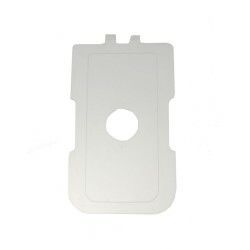 This medal pocket holder is made from clear plastic. 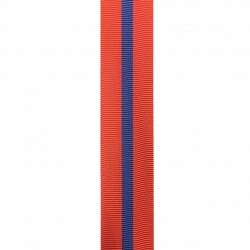 Simply slide the medal ribbon bar onto the top,..
Royal Arms Badge for Warrant Officer Class 1 in the Duke of Lancaster's Regiment.This Royal Arms&nbs.. 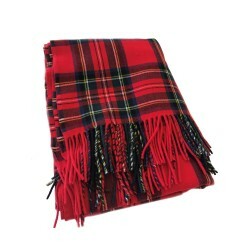 This Royal Stewart Tartan Highland scarf is usually worn by the Pipers of the Black Watch, Royal Sco.. 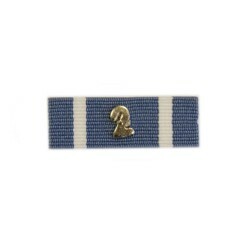 This NATO Two Missions/ Awards Nylon/Cotton Medal Ribbon Slider has a width of 38mm. .. 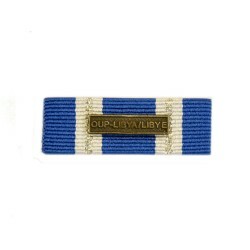 This NATO Operation UNIFIED PROTECTOR - LIBYA Nylon/Cotton Medal Ribbon Slider has a width of 3.. 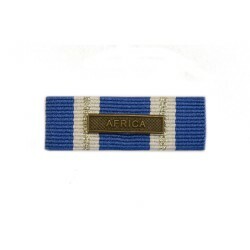 This NATO Africa Nylon/Cotton Medal Ribbon Slider has a width of 38mm. The NAT.. 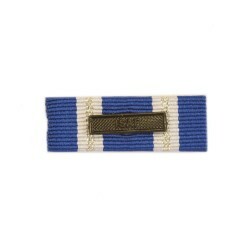 This NATO Afghanistan (ISAF) Nylon/Cotton Medal Ribbon Slider has a width of 38mm. &.. 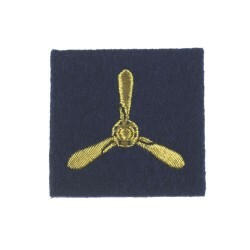 This South Atlantic 1982 Nylon/Cotton Medal Ribbon Slider has a width of 32mm. .. 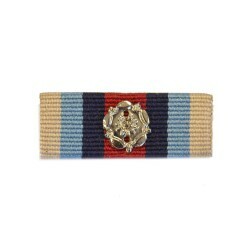 This UN Lebanon (UNOGIL/UNTSO) Nylon/Cotton Medal Ribbon Slider has a width of 36mm. .. 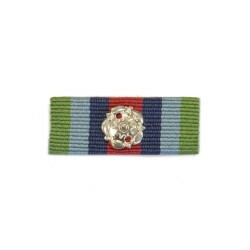 This Operational Service Afghanistan Nylon/Cotton Medal Ribbon Slider with rosette has a width .. This Operational Service Medal Sierra Leone 2000 Nylon/Cotton Medal Ribbon Slider with rosette .. 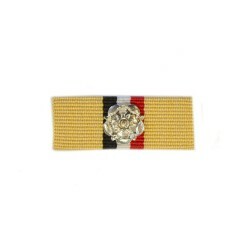 This Iraq Nylon/Cotton Medal Ribbon Slider with rosette has a width of 32mm. T.. 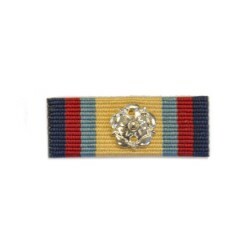 This Gulf Medal 1990-1991 Nylon/Cotton Medal Ribbon Slider with rosette has a width of 32mm.&nb.. 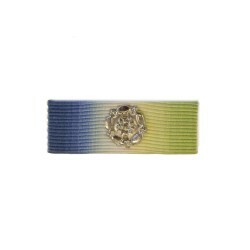 This Atlantic Star Nylon/Cotton Medal Ribbon Slider with a rosette has a width of 32mm. &n.. 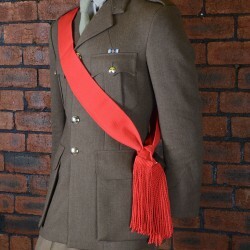 This scarlet shoulder sash is worn by Sergeants in the British Army. 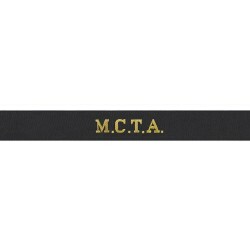 This shoulder sash measures 74".. This Worsted Russia Braid has a width of 5mm and comes in Scarlet Red, traditionally used for froggi.. 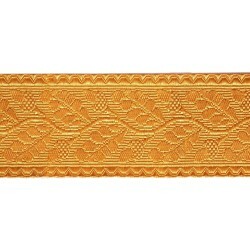 This Viscose Braided Cord has a width of 3mm and comes in Celtic Gold, in the design of the dou.. 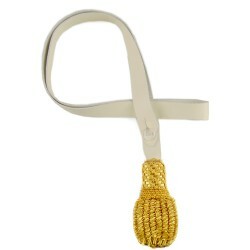 This sword knot is used by Life Guards Officers in the Household Cavalry (HCav). The cord is gold an.. 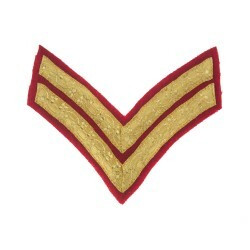 This scarlet shoulder sash is worn by Cadets. 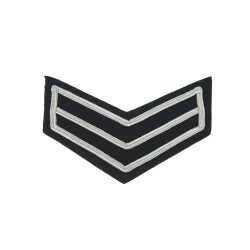 This shoulder sash measures 64" in length across the o.. 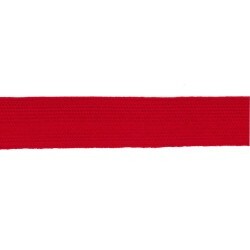 This scarlet shoulder sash is worn by Cadets. This shoulder sash measures 62" in length across the o.. 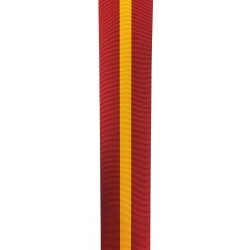 This scarlet shoulder sash is worn by Cadets. 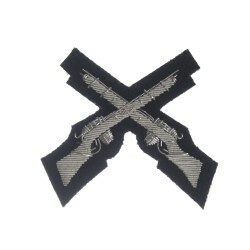 This shoulder sash measures 60" in length across the o.. 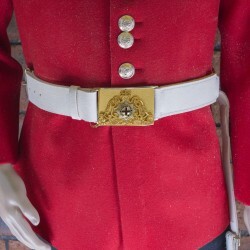 This scarlet shoulder sash is worn by Cadets. This shoulder sash measures 58" in length across the o.. 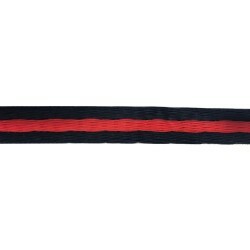 This scarlet shoulder sash is worn by Cadets. 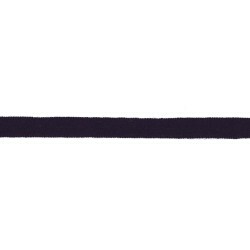 This shoulder sash measures 56" in length across the o.. 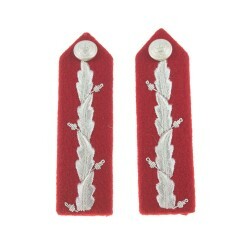 This scarlet shoulder sash is worn by Cadets. 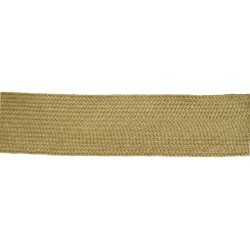 This shoulder sash measures 54" in length across the o.. 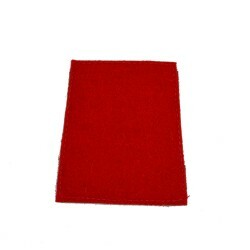 This scarlet shoulder sash is worn by Cadets. 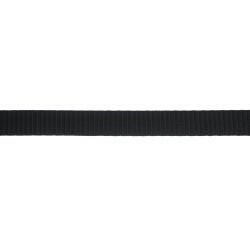 This shoulder sash measures 52" in length across the o.. 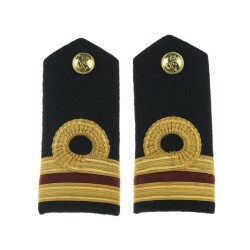 This scarlet shoulder sash is worn by Cadets. 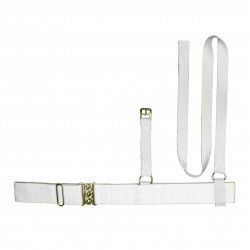 This shoulder sash measures 50" in length across the o.. 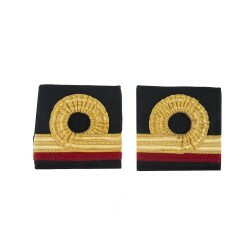 Surgeon Sub Lieutenant Dental (D) epaulette for the Royal Navy.This Royal Navy Surgeon Sub Lieutenan.. 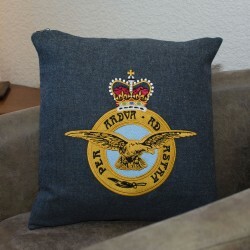 This military cushion features a beautifully detailed machine embroidered RAF emblem on a blue grey .. 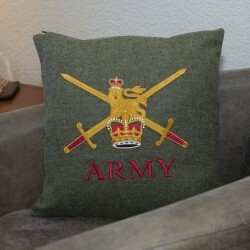 This military cushion features a beautifully detailed machine embroidered British Army logo on a kha.. 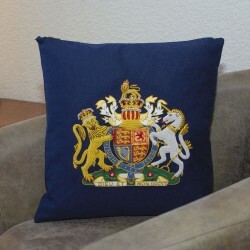 This military cushion features a beautifully detailed hand embroidered emblem of the United Kingdom'..
Senior Aircraftsman qualification badge for the Royal Air Force Band (RAF).This Senior Ai..
Large Crown Warrant Officer Class 2 (WO2) and Non Commissioned Officer (NCO) rank badge for th..
2 Bar Chevron Corporal service stripe for Honourable Artillery Company (HAC) - Infantry.This 2 Bar C..
2 Bar Chevrons Corporal service stripe for the Queens Royal Hussars (QRH) in the British Army.T..
Collar badge for Sergeant and Colour Sergeant in the Grenadier Guards of the British Army.This Serge..
Pipers and Pipe Majors in the Royal Irish Regiment (R IRISH) qualification badge for the British Arm..
No.1 Dress Lord Lt gorgets feature silver oakleaf embroidery with a button. Gorgets are worn on.. 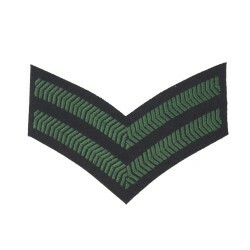 Surgeon Lieutenant (D) epaulette for the Royal Navy.This Royal Navy Surgeon Lieutenant (D) epaulette.. 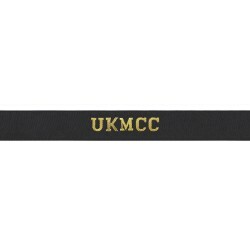 The UK Maritime Component Command cap tally as worn by The Royal Navy.The UKMCC cap tally .. 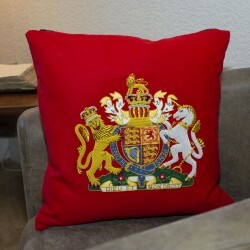 The Maritime Commissioning and Testing Authority (MCTA) cap tally as worn by The Royal Nav.. This Order of Eswatini Nylon/Cotton Medal Ribbon has a width of 16mm.Many of Wyedean's braids, tapes.. 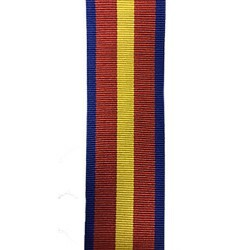 This Order of Eswatini Nylon/Cotton Medal Ribbon has a width of 38mm.Many of Wyedean's braids, tapes.. This Order of Eswatini Nylon/Cotton Medal Ribbon has a width of 102mm.Many of Wyedean's braids, tape.. 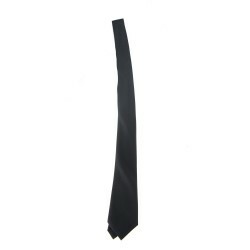 This black necktie is worn by members of the Armed Forces. 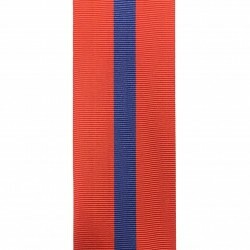 This tie is the standard length.Length: 1..
2 Bar Chevrons Corporal service stripe for the Royal Irish Regiment (RIR).This 2 Bar Chevrons Corpor.. 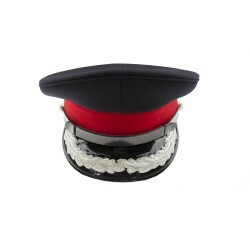 This black pvc ceremonial (no 8) waist belt is worn by the Pipe Majors and Pipers of the Scots Guard.. 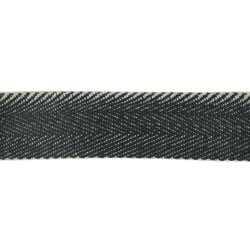 This Jute Wrap Cotton Webbing has a width of 50mm and comes in Black and White with a herringbo.. 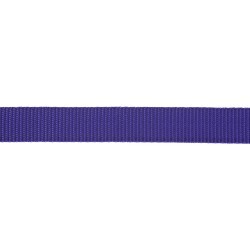 This polypropylene webbing has a width of 21mm and comes in Lavender Purple in a double plain w.. 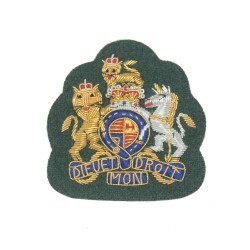 This Worsted Herringbone Lace has a width of 16mm and comes in Bottle Green, with a 1010 herrin..
Royal Marines Warrant Officer Class 1 (WO1) Badge for the Royal Navy.This Royal Marines Warrant Offi..
Royal Marines Warrant Officer Class 2 (WO2) Badge for the Royal Navy.This Royal Marines Sergean.. 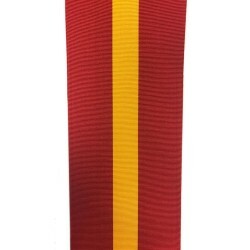 This Order of the Crown Nylon/Cotton Medal Ribbon has a width of 38mm. Many of Wyedean's braids.. 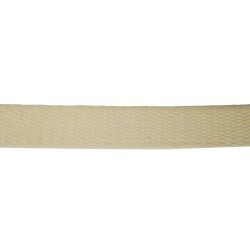 This white canvas sword belt is worn by Officers in the RAF.Size: Size 8, 117cm - 122cm / 46"-48"Col.. 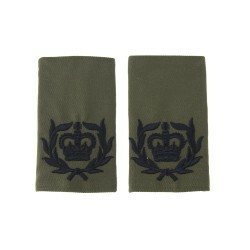 This white canvas sword belt is worn by Officers in the RAF and features a shoulder strap. Size.. This Order of King Sobhuza II Nylon/Cotton Medal Ribbon has a width of 16mm.Many of Wyedean's braids.. This Order of King Sobhuza II Nylon/Cotton Medal Ribbon has a width of 102mm.Many of Wyedean's braid.. 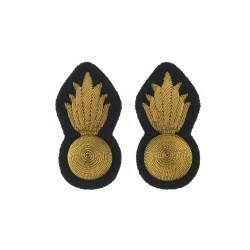 This Oakleaf Lace has a width of 64mm and comes in 2% Gold Thread with a jacquard design e.. 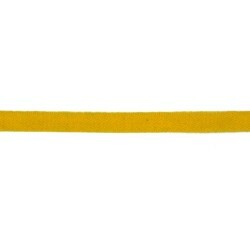 This Worsted 1010 Herringbone Lace has a width of 13mm and comes in a Artillery Yellow.Many of .. 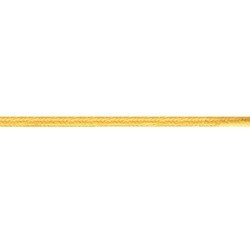 This Worsted Braided Cord has a width of 5mm and comes in Busby Gold, cord with a square cross secti.. 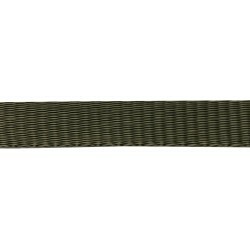 This Worsted Flat Braid has a width of 44mm and comes in Light Stone, made on a Ratera 65s flat brai.. 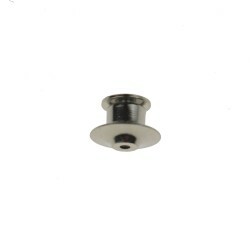 This silver spring loaded clutch pin fits onto a pin. It is specifically useful on medal ribbon bars.. 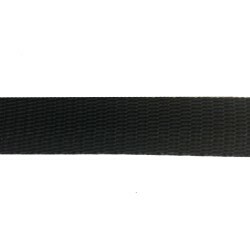 This black leather long sword sling with gold oakleaf Household Cavalry lace is worn by the British .. 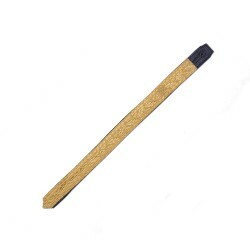 This black leather short sword sling with gold oakleaf Household Cavalry lace is worn by the British..